BBI’s Young Professionals Group Hosts First Lunch & Learn and Happy Hour — Binkley & Barfield, Inc.
BBI’s Young Professionals group hosted its first event on 6/6/18, kicking off with a “First Time Homebuyer Lunch & Learn” followed by an after-work happy hour at McIntyre’s sports bar. 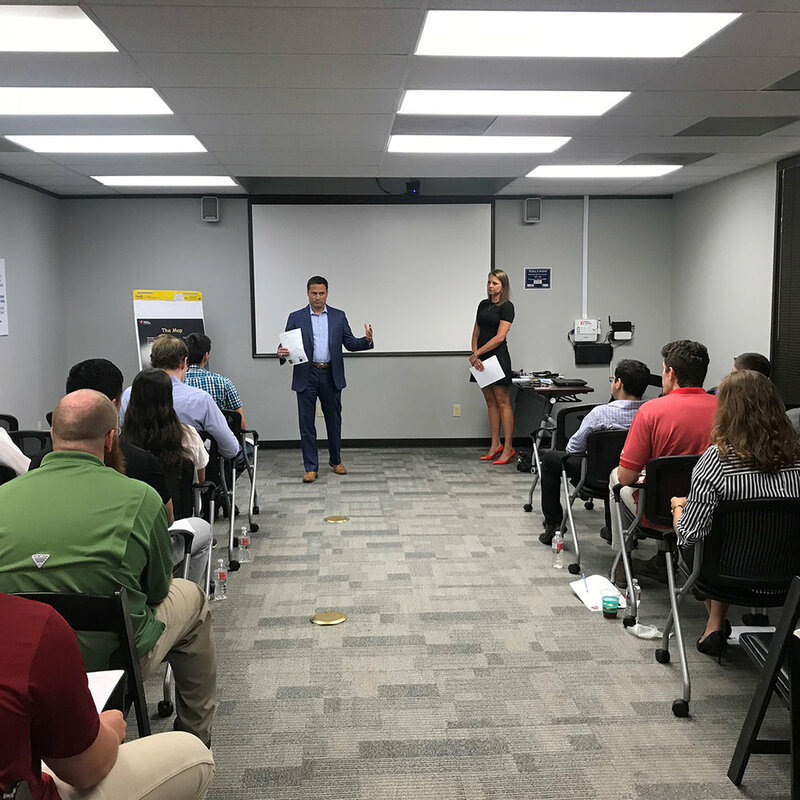 The Lunch & Learn event featured speakers Britni Davison, realtor for CB Realty and Kevin Hollister, Mortgage Loan Originator for Homebridge Financial Services, who shared helpful information and provided answers to commonly asked questions for first-time home buyers. The speakers invited attendees to brainstorm a list of questions which they answered throughout the discussion. Topics included what to look for in a lender, what types of financing are available, how credit scores affect interest rates, and recommended timelines for shopping and making an offer on a new home. BBI’s CEO Brett Binkley also addressed the luncheon attendees, sharing how the idea for a Young Professionals Group was first realized, and how he believes members can use the group to improve themselves both personally and professionally. Brett encouraged the attendees to avoid the mentality of “this is how it has always been done” and instead to be dynamic, thoughtful, and action-oriented in their professional lives. At the end of the day, the group had another opportunity to meet up with event speakers Britni and Kevin for a more relaxed meetup at McIntyre’s sports bar. As promised in the Lunch & Learn, Britni and Kevin were available for a more informal Q&A session as they kicked back with the group on the bar’s outside patio. 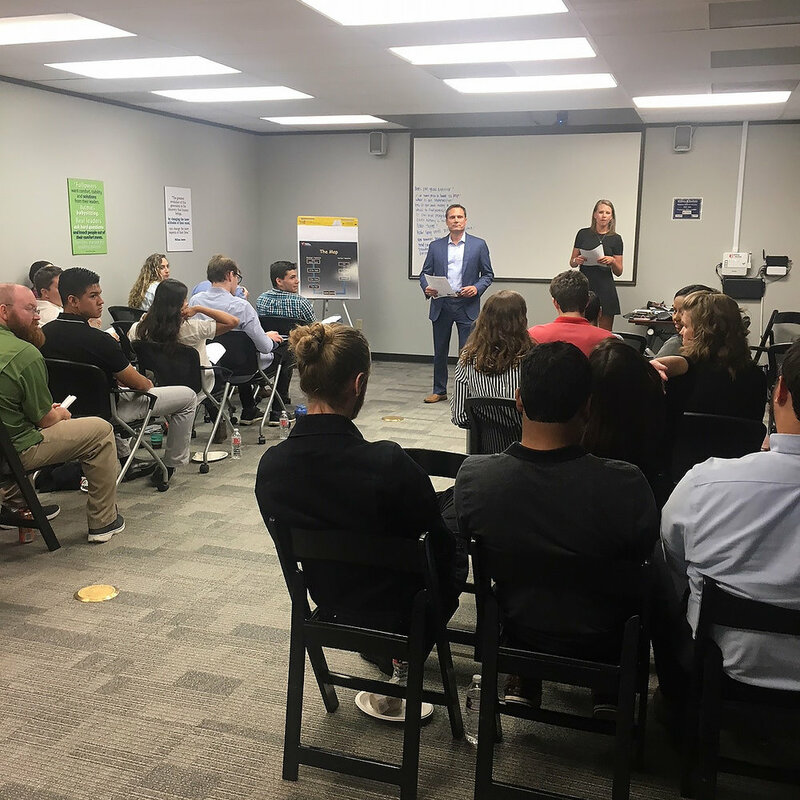 The Young Professionals Group provides a forum that creates opportunities for young leaders to develop their technical and personal skills and build relationships with other members through events and activities that promote growth. More monthly events are being planned for the group that will focus on enhancing the spirit of leadership, communications, development, and cohesion within the Binkley & Barfield Family of Companies.